Tektite Industries Introduces NEW Products | Dive Industry Association, Inc.
Tektite Industries Introduces NEW Products Under the TEKNA Brand. We here at Tektite Industries continue to introduce NEW products under our TEKNA brand. Our latest introduction in the TEKNA line is the Ocean Edge Stainless Steel Knife with our new Rescue Blade Tip. This Knife has always been a favorite among divers because of its versatile design and solid one-piece construction . The saw-tooth serrations cut through natural and synthetic lines, the line hook type blade provides the ability to quickly cut a thin line in an emergency. This blade is designed for use to clear lines in a hurry that may pose a problem during your dive. It is also designed for first responders as a rescue cutter for seatbelts. The Ocean Edge Knife is 7.5” long overall and has a blade length of 3.5”. It weighs in at a scant 3.6 oz, is made of 420 Stainless Steel, and comes with an ABS Sheath and Velcro Leg Straps. They are all individually serial numbered. This Knife can also be ordered with a Stealth Black Teflon coating. 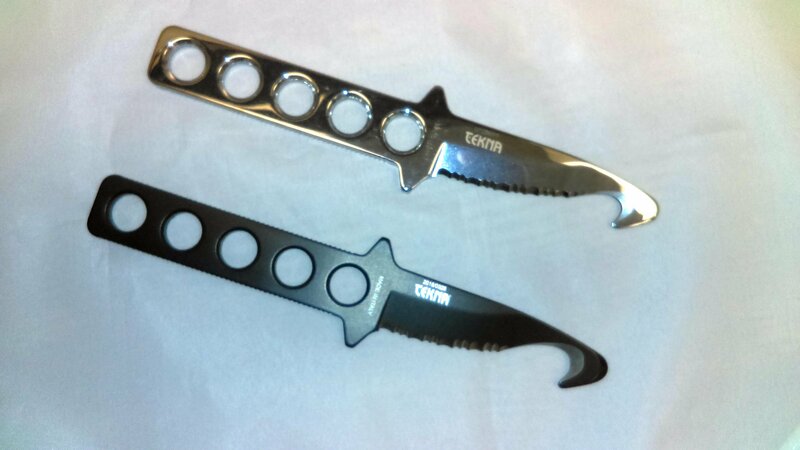 The Ocean Edge Knife double edge is now also available in a Limited edition Titanium Version. The weight of this knife is almost half that of the Stainless Steel version at 1.8 oz and features the symmetrical blade design. They are also individually serial numbered. Tektite Industries announces the MARK-LITE STROBE with LED. 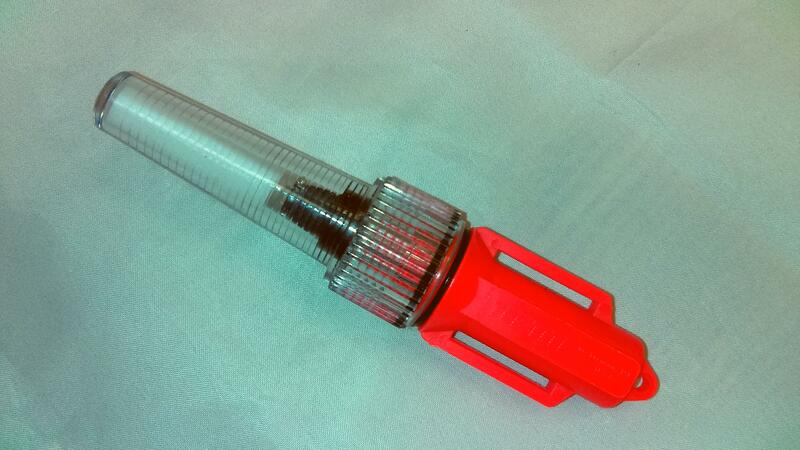 The MARK-LITE is the worlds smallest submersible strobe, now in LED. This pocket size emergency strobe is double O-Ring sealed, waterproof and has a depth rating of 1,000 feet. This Strobe will operate for 11 plus hours on 1 AA Alkaline battery (included). It can be seen for more than 2 miles at night at the surface (conditions permitting). The Mark-Lite Strobe is excellent for use as an exit point or distress strobe. It is Military issue tough, as used by US/NATO. The MARK-LITE STROBE has a High-Power LED strobe that puts out 200 plus Lumens. Bulb life is 10,000 plus hours. Flash rate is 2hz (2 times per second, 120/min). It is 5.75” long and 1.2” in diameter, and weighs an amazing 0.38lbs. This strobe is small enough to easily fit in any BC pocket. The MARK-LITE STROBE is available in a variety of lens and body colors. It is made in the USA, and has a lifetime warranty.